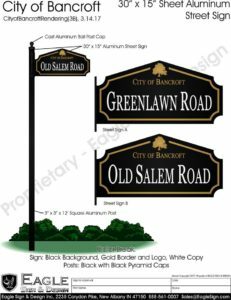 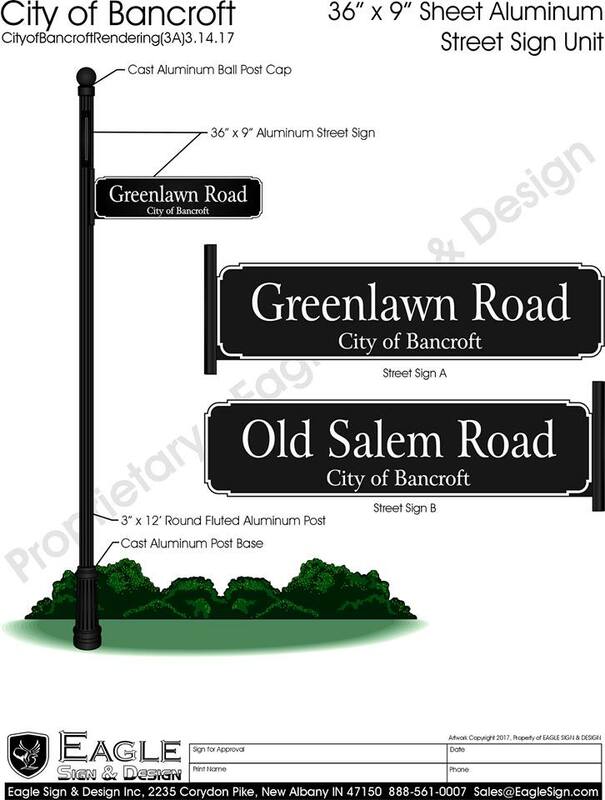 The Bancroft City Commission is looking for input on replacing city street signs. 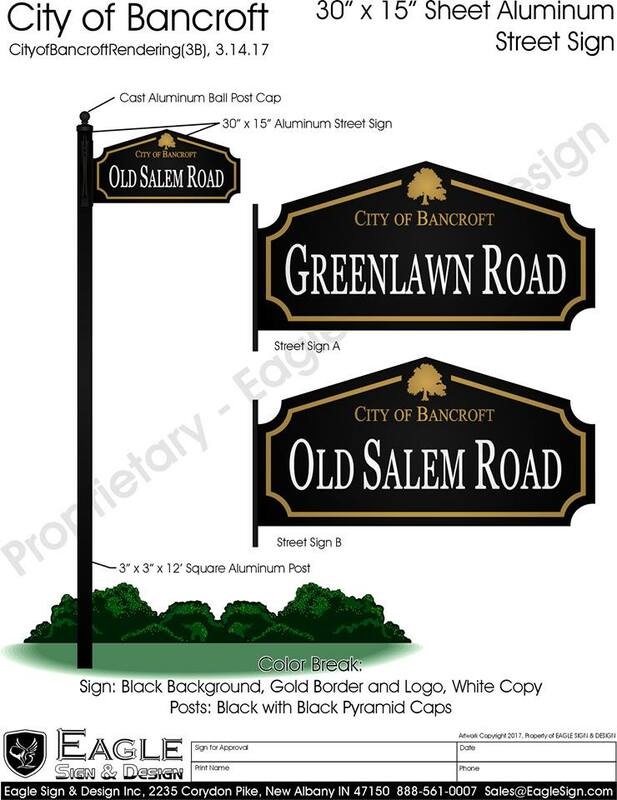 Residents of Bancroft should email Community Outreach Commissioner Matthew Tungate at communications@cityofbancroft.org with any input on which sign style you prefer. 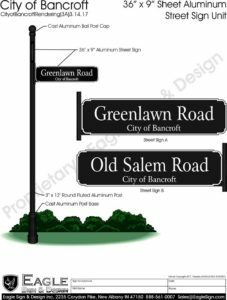 Or you can comment on the Bancroft Facebook group post here (closed group; requires membership).